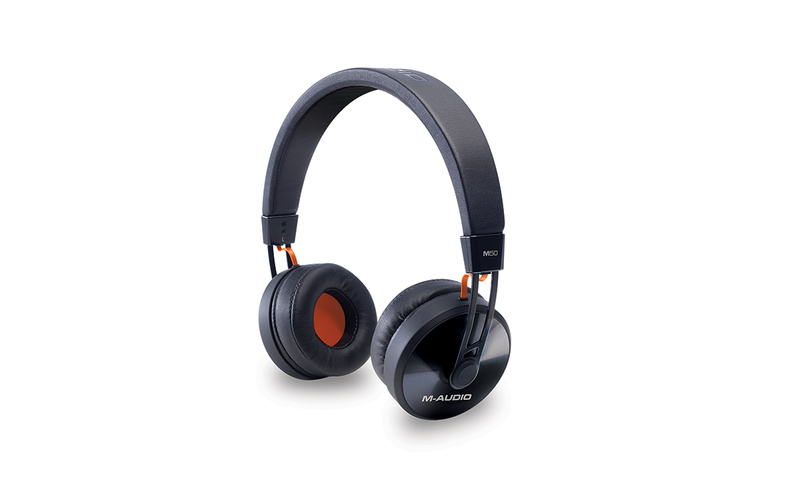 M50, HiFi/audiophile headphone from M-Audio. Every recording musician needs headphones, and there’s no shortage of choices. It’s not hard to find a good pair if you’re spending $200 and above, but especially in the sub-$100 range, it’s more of a crapshoot. M-Audio recently released two models in that range, and we’ll focus our review on the more expensive of the two, the over-the-ear (circumaural) M50. Sounds almost too good to be true. Couple questions. Do you have a frequency response chart or any comparison to other similar headphones that we can check out? I wouldn't say "any headphones" will do. For tracking you want "over the ear" headphones (circumaural) for better isolation. They should also be comfortable. If you're the engineer, you would ideally have some pretty good quality reference headphones for auditioning sounds, but musicians who are just playing don't need anything fancy sonically, although you don't want total garbage. If it sounds crappy to the musicians, they probably won't be as inspired. I do think you can find $50 headphones that will do the trick for the musicians' headphones. 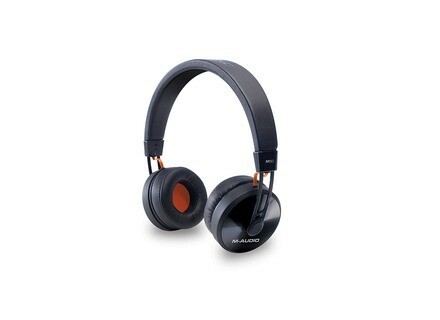 Been wondering whether to buy these after selling the krk 6400's. I need something with better bass response for producing dark hip hop beats. One question is are these accurate enough for mixing without much trouble? Also it says these are over ear but they look small like on ear ones, do they fit nicely over the ear? Overall do you think that they have a good sound to them? Yes, they do fit comfortably over your ear, and they sound quite good for their price range. As mentioned in the review, I think their best role is as tracking headphones, but you could use them for mixing, assuming you have another way to listen as well. You can't expect them to be as accurate as accurate as reference headphones that cost 3 to 5 times as much. That said, they have good bass response, but aren't overly bassy, which is probably a good thing for mixing hip hop beats. For the fact that they fit nice and have a nice a good bass response I'm definately going to pick a pair up, sounds like they're well worth the price. Thanks for the thorough review, was glad to finally find some info on these. Nice information about this. But they are expensive.